Mexico has authorized the extradition of drug lord Joaquin “El Chapo” Guzman to the US to face charges including smuggling and murder. El Chapo Guzman’s lawyers have 30 days to appeal and even if it proceeds it could be months before he is sent north. He was recaptured in January, six months after escaping through a tunnel from his maximum-security prison cell. Earlier in May the Mexican authorities transferred El Chapo Guzman to a prison near the US border. Mexican officials denied the move to Ciudad Juarez, just across the border from El Paso, Texas, was a precursor to extradition. El Chapo Guzman faces charges from seven US federal prosecutors. He is also accused of money-laundering, and arms and drugs possession. The drug lord’s lawyer, Juan Pablo Badillo, told Reuters news agency he would file “many” legal challenges in the coming days. Mexico’s foreign ministry has said the US has guaranteed El Chapo Guzman will not face the death penalty if the extradition goes ahead. 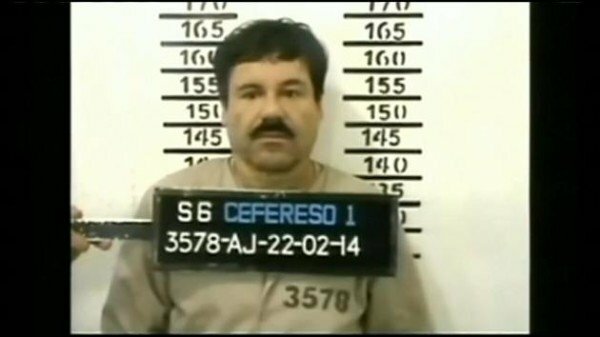 Born to a farming family, El Chapo Guzman went on to become head of the Sinaloa cartel, at one point thought to be responsible for a quarter of all drugs entering the US via Mexico. Before his escape in 2015, El Chapo Guzman had already fled prison, going on the run for more than a decade.